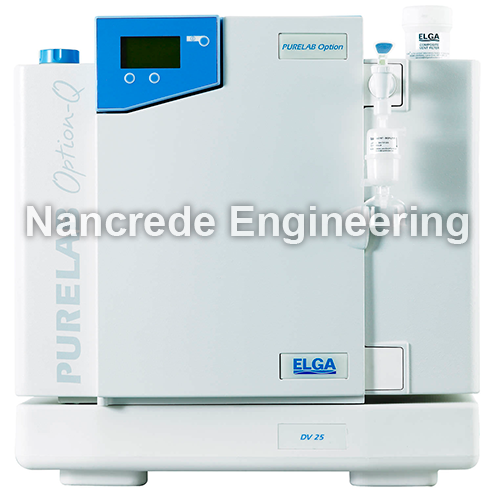 Nancrede Engineering is proud to carry ELGA’s PURELAB line of pure and ultrapure lab water systems in Indiana, the Midwest, and nationally. Scientists require a choice of water qualities, ranging from primary grade, for routine washing and rinsing, to ultrapure for critical analytical and science applications. With this in mind ELGA applies its expertise gained from 75 years of innovation in water purification technologies to design the unrivalled PURELAB range. Constructed from the highest quality components for optimal purity, ELGA’s reliable water purification systems are the industry standard setter. A rapid and easy sanitization program provides for an uninterrupted workflow. The lowest consumable costs and the highest water quality and precision are the result of built-in economical processes. Don’t forget about replacement lab cartridges, filters or lamps, such as LC141 ELGA deionization lab cartridges, LC174 ELGA Medpure deionization cartridges, LC140 ELGA pretreatment cartridges, LC136M2 ELGA composite vent filter, or the LC105 ELGA ultraviolet lamp. You can find them all at The Nancrede Engineering Store right now.